Thank you to all the choreographers who submitted applications for CONNECTIONS 3.0! The selection committee will now review all proposals and notify all applicants no later than March 26th 2019. CONNECTIONS is a resource provided by Performing Arts Platform in 2017-19 to connect fellow artists in order to create, share artistic practice and explore the potential for future collaboration and production in Aarhus/Central Denmark Region. The program is open to emerging professional choreographers based in Denmark in a joint residency with an international counterpart. Throughout their joint residency they commit to assist, push, inspire and challenge each other artistically – and to engage with the wider community. Each CONNECTIONS program offers studio research time, networking opportunities and access to relevant local mentors or sparring partners (e.g. within the arts field or within production, creative entrepreneurship, management, the sciences or other interdisciplinary fields). The selected choreographers are not expected to produce finished work. However, at the end of their program they conduct a joint session at a public sharing; a work demo, an improvisation, a site specific ‘walk & talk’ or any other format suitable to the work at hand. While this shared session marks the end of their residency – it is also the beginning of a new. The overlap between each program serves as a meeting point between CONNECTIONS residents; a creative hub providing a unique opportunity to share knowledge and expand network to fellow artists from Denmark and beyond. CONNECTIONS is supported 2017-19 by the Danish Arts Foundation, Central Denmark Region, Bikubenfonden and the City of Aarhus to contribute to a continuous vibrant and dynamic performing arts sector in the region. Partners, collaborators, mentors/sparring partners 2017-18 included a.o Secret Hotel/Christine Fentz, Mette Aakjær/Wunderland, Digital Media Artist Signe Klejs, Historian Doron Haahr/Aarhushistorier.dk, Visual Artist Christoffer Brekne, Theatre Seachange/Barbara Simonsen, Black Box Dance Company, ARoS Aarhus Art Museum, The Animation Workshop, Innovation Lab/CEO Mads Thimmer, Bora Bora – Dance & Visual Theatre, HeadRoom at Aarhus Festuge, and more. 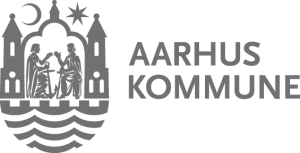 Performing Arts Platform is a network organisation for the independent performing arts sector in Aarhus. We are not a production house nor a theatre but a platform that collaborates closely with the whole arts community – including theatres, production houses, creative entrepreneurs, business organizations, the university, independent artists etc. Performing Arts Platform brings people together, ensures and facilitates knowledge, reaches out and provides framework and visibility for the performing arts community in the region. CONNECTIONS 3.0 is the third part of a three-year strategic project (2017-2019).